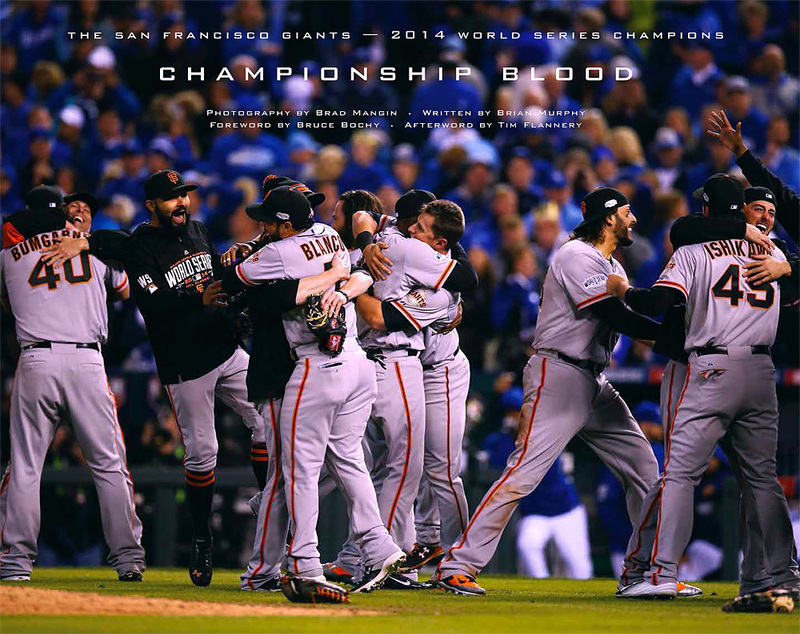 “Championship Blood” captures the bigness and boldness of the San Francisco Giants’ historic run to a World Series victory in 2014, their third title in five years. The players are emblazoned in fans’ minds by now, and acclaimed photographer Brad Mangin’s pictures document the rhythm of their season, in moments both big and small, combining traditional photography shot with digital SLRs and Instagrams shot on an iPhone. Brian Murphy (of KNBR’s Murph and Mac) writes dynamic profiles of a dozen players and manager Bruce Bochy, whose recollections are memorialized in the foreword. Coach Tim Flannery’s thoughts and feelings come through in his afterword. No true Giants fan can be without it! You can order “Championship Blood” from Amazon here. Please check back as more events are being planned.